Next performances: Tonight at 8 p.m. Tomorrow at 2 p.m. The Los Angeles Philharmonic has never seemed to quite know how best to use the pipe organ in Walt Disney Concert Hall. Nonetheless, the orchestra is celebrating the instrument’s 10th anniversary throughout this season (it took all of the hall’s first season to fine-tune the organ; thus its debut was a year after the hall debuted). Perhaps after several orchestral concerts and recitals in 2014-2015, that best use will emerge. For now, we can simply delight that we are hearing a real pipe organ in a concert hall. 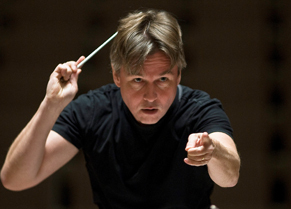 The first of several orchestral concerts this season celebrating the organ are being conducted by the orchestra’s conductor laureate, Esa-Pekka Salonen (pictured above), who was instrumental (pun intended) in the design and creation of Walt Disney Concert Hall, including the imposing, intriguing instrument that was later nicknamed “Hurricane Mama” by organist and composer Terry Riley. 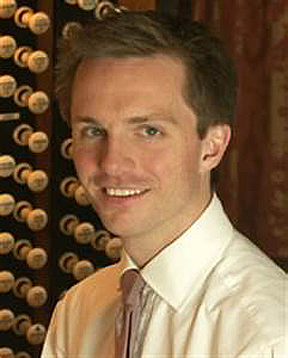 To celebrate the organ, it’s certainly no surprise that Salonen chose a work by Kaija Saariaho. She, like Salonen, is a Finnish composer and Salonen has conducted many of her works with the Phil. Her music is an acquired taste and I freely admit that I haven’t found the key to enjoying it fully yet. The 15-minute work was commissioned the Orchestre Symphonique de Montréal and three European organizations. The world premiere took place in Montreal last May — like Disney Hall, that organ (created and built by Casavant Frères of nearby Saint-Hyacinthye, Quebec) was inaugurated in the second season of the city’s new concert hall. The soloist was French organist Olivier Latry and Kent Nagano conducted the OSM. Latry was on hand here last night, as well; in fact, no other soloist has played the work, with good reason — the technical requirements for both organist and orchestra will probably limit its reception. The first movement featured mysterious, dissonant tones with Latry weaving the organ in and out of the orchestral fabric; deep organ bass notes resonated from the instrument’s distinctive wooden pipes throughout the building (see Hemidemisemiquavers below for info on the Disney Hall organ). In the preconcert lecture Saariaho said the second movement is the heart of the piece and, consequently, this is the one section where the organ is most prominent. The third movement wandered between the wild, the weird and the wacky as Sarriaho gave Latry the biggest opportunity to show off both his considerable technical skill and the instrument’s varied colors. Salonen conducted the piece without a baton and the orchestra handled the difficult writing with aplomb. After its conclusion, much of the audience gave everyone involved — organist, composer, orchestra and conductor — effusive applause. The organ work was bracketed by two muscular orchestral pieces from the early 20th century that rank high on my list of unjustly neglected works (technically Sibelius’ Lemminkäinen Suite was begun in 1893 but it was revised several times up to its final version, which wasn’t published until 1954). Leoš Janáček’s Sinfionetta is worth discovering if only for its and the composer’s backstories. Janáček wrote the piece at age 72, the result of a dozen-year correspondence of some 700 letters between Janáček and Kamila Stösslová, a young married woman 38 years his junior, who would become his muse. In 1925 they heard a military band concert in which the musicians played standing. So taken with the idea was Janáček that the first movement of this 25-minute work features 13 brass players (nine trumpets and four other horns) who for this concert were standing in the first row of the bench seats behind the orchestra. The balance of the work is, in effect, a standard four-movement symphony. The Phil played with equal mixtures of rhythmically crispness and luxuriant tones and Salonen conducted exuberantly. Hearing Sinfionetta again was a genuine pleasure and the audience’s response was enthusiastic, particularly for the first work of a concert. After intermission, Salonen turned to Sibelius’ Lemminkäinen Suite. The story of Salonen resisting the music of his countryman early in his conducting career is well known but this four-movement, 50-minute work — based on portions of the Nordic legend, The Kalevala — was an exception. Salonen was age 22 when he led the first complete LAPO performance of the work in 1991, a year before he officially became the Phil’s 10th music director. He and the orchestra subsequently recorded it (amazingly for a 23-year-old recording, it’s still available). Last night was a richly rewarding performance, demonstrating again the exquisite acoustics of Disney Hall and reinforcing the joy of hearing a work played live as opposed to a recording. This was particularly true in the work’s best-known section, The Swan of Tuonela, which featured a stunningly soulful performance by Carolyn Hove on English horn. We’ve become so used to hearing Hove’s beautiful playing since she joined the Phil in 1988 that we sometimes take it for granted but on this night she was extraordinary. Salonen conducted this movement without a baton (he used a stick in the other three) and he and the orchestra rose to the heights of Hove’s gorgeous solo work. The audience responded with a thunderous, and well-deserved, standing ovation. • This week’s preconcert lecture host was Eric Bromberger, a violinist with the La Jolla Symphony who writes program notes for several different organizations including the San Diego Symphony and the Washington Performing Arts Center at the Kennedy Center. He began by interviewing Saariaho and Latry. I wished he had asked Latry the differences between the new Montreal organ and the Disney Hall instrument but no such luck. Latry did say that the Disney Hall instrument has grown in its 10 years of existence but didn’t elaborate on what he meant. 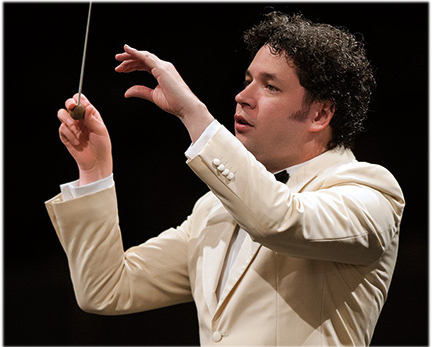 After the short interview Bromberger discussed the Janáček and Sibelius works with skill and enthusiasm. In part because he was wearing a headset microphone he was clearly understandable even in the back of BP Hall, and he handled the iPod technology smoothly (something that doesn’t always happen). Overall this was one of the best preconcert lectures I can remember attending. • This week’s concerts are among those offering $20 seats for selected seats, in addition to student and senior rush tickets (INFO). The lower prices didn’t seem to help; there were more empty seats than at any LAPO Disney Hall concert I can ever remember.